To start climbing Cyclops, you stick the middle finger of your right hand into a deep sharp hole in a smooth face of limestone. Then you bring your legs and toes up carefully, spreading them out like a spider on a wall, and heave upwards. There’s a moment of weightlessness as your body and left hand rise up above the tiny ledge big enough for just 3 fingers to slide across and jam into. I watched climber Maria Birukova dancing and delicately stepping across the face of this limestone pillar as I hung weightless in space nearby, suspended by my rope and harness, my camera’s shutter tapping a staccato in the quiet canyons of El Potrero Chico, Mexico. I had met her just the day before, when she had arrived at the disorganized camp of young international climbers. She had been smiling happily at the camaraderie of others who understood her longing for the rock faces of the enormous canyon that loomed above, and dismayed by the apparent chaos created by fifty unkempt climbers that lived also out of their cars and ate in the single open-air kitchen. My memory of her from a year earlier had faded into more of a general feeling, like a clean white flower on the wallpaper of life. But now her father, Konstantin, wrote me an email and requested photographs of recent memories. She fell in September while climbing Bear Creek Spire in the Sierra Nevadas. Her climbing partner had watched, stricken, as she plummeted a thousand feet to her death. In browsing through my photographs from El Potrero Chico, I was brought back to that cold morning behind the giant pillar of Cyclops, lost in the shade of the mountain with the smell of the tiny smoky fire we had made to stay warm whilst climbing. 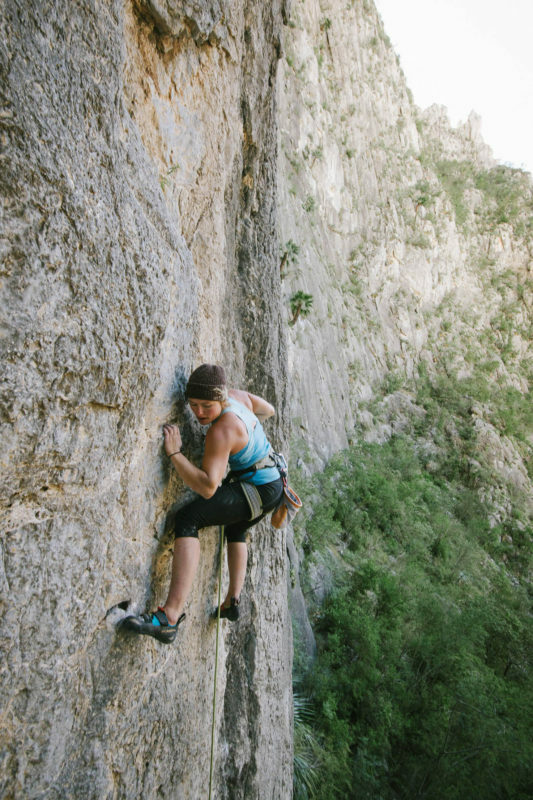 And I recalled the feeling of determination that permeated the day—no one had been able to complete the route, which was rated at 5.13a, an expert climb. But Maria did. I cannot imagine the feelings that my photographs of Maria will bring to her parents. She was a medical student at Stanford University, well loved by her professors, working on groundbreaking research with a mind for great ideas. Yet for me, the photographs of her working on this incredible rock face tell me the stories of the life lived beyond the tragedy of her death and the paragraph of her professional accomplishments. 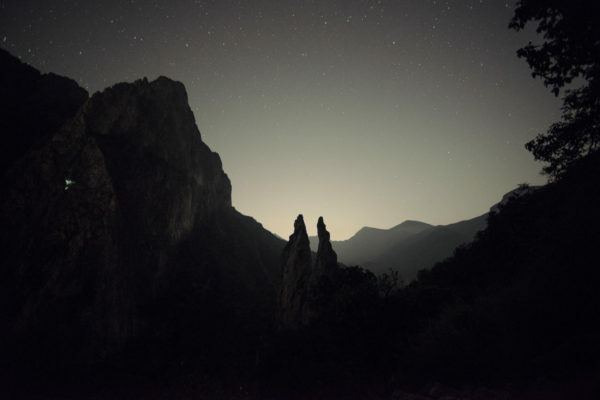 They tell me that her life was full of wonder at watching stars rise above a canyon at night, of focus as her fingers barely held onto textured stones, and release of having ascended climbs so incredibly difficult her celebration was delayed until her adrenaline had given way to elation. Maria’s photographs are a reminder that documentary images are more than just records. The best photographs are gifts of our humanity. Thank you for this, it is Maria exactly. I was her coach in high school and saw it every practice, every meet and every cross country race. She was special. Wow! What an incredible story! Beautiful photos to enjoy and honor her memory.